Hoist the sail and join the pirate crew! 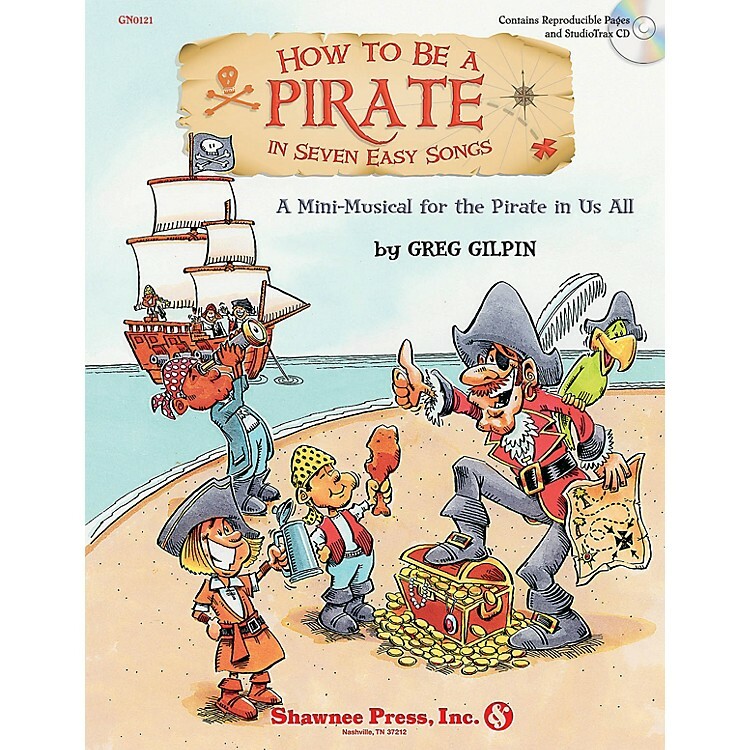 The reproducible 20-minute mini-musical introduces an ornery, yet sweet Captain and the 1st mate who transform landlubber students into pirates. Through story and song, the shipmates dress in pirate costumes, raise the Jolly Roger flag, spy with telescopes, find buried treasure, & show thar pride in a raucous pirate party. Shiver me timbers! This kit of lovely loot contains a director's score, reproducible singer's parts, performance ideas, and an Enhanced StudioTrax CD that includes accompaniment and performance tracks, poster, program, artwork, and more! Performance Time: 20 minutes. Grades 4-8.